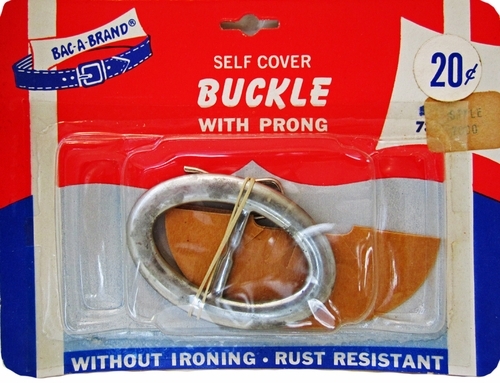 For up to 1' belting. Includes template for fabric covering. PLEASE NOTE: These buckle kits have been stored in a warehouse for over 50 years, and some of them have discoloration on the metal.